Imagine not having to continually chase dust off your surfaces and furniture AND being able to breathe less-contaminated humid air inside your home. Doesn’t that sound nice? Leaky and dirty air ducts contribute to poor indoor air quality. 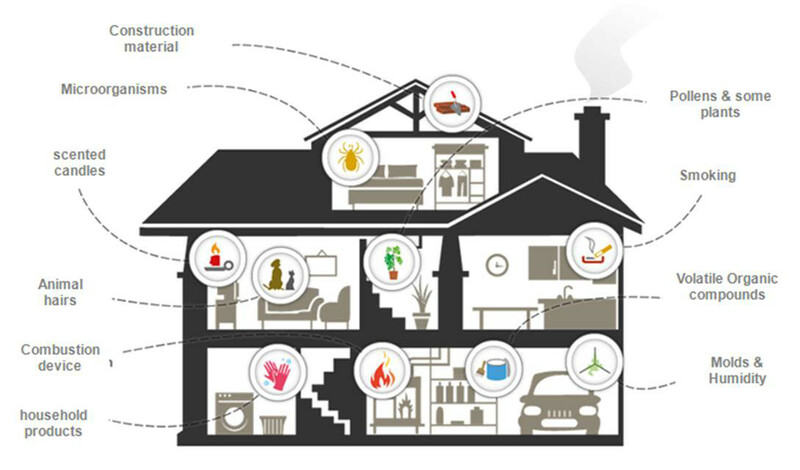 Indoor air pollution is an EPA high-priority public risk, with levels of pollutants indoors being up to 5 times higher than outdoor levels. According to the EPA, most people spend roughly 90% of their lives indoors. This makes indoor air pollution one of the five most urgent environmental problems facing the US with 1 in 15 Americans having allergies or asthma. In addition, the average home produces twice the greenhouse gases as the average car. In fact, 15% of all greenhouse gases are generated from the energy used in houses nationwide. Another issue to consider is that excess humidity levels can lead to costly repairs for homeowners. Indoor air quality is one concern that homeowners have when they decide to investigate their air ducts. Imagine your heating and cooling system is the lungs of your home. The furnace/air conditioner systems takes air in and breathes air out, the duct work transports this conditioned air throughout the home. If the duct work is leaky it draws in contaminants and distributes throughout the home. When the air passageways (ducts) are properly sealed, pollutants will be filtered through the air filter as its intended purpose, removing the pollutants before air being distributed in your home. There is no substitute for professional air duct cleaning and/or sealing techniques that can greatly improve your indoor air quality. Northern Duct Seal uses Aeroseal’s proven technique and patented sealant to seal off gaps and cracks inside your ducts to prevent contaminants and particulate get inside your home. If you’re concerned about your IAQ (Indoor Air Quality) and uneven heating/cooling of your home, contact Northern Duct Services today to discuss your options. You may submit a request for more information or free estimate.